Who Can Benefit from Using a Brush Cutter? There are two types of people that can get good use from a brush cutter. The first people are individuals who have undeveloped land or a yard full of thick, woody brush. Many times a weed eater is not strong enough to cut woody brush or thick growth in your yard, so a brush cutter is a useful addition to your tool shed. The other people who can really benefit are commercial landscaping or lawn care companies. Whether it’s a few people doing the business or a large company, commercial lawn care involves a lot of varied jobs. Having a brush cutter will make it possible to do even more different types of jobs. Brush cutters are either powered by electricity or gasoline. Electric brush trimmers can have a power cord or a rechargeable battery, while gas brush cutters will have either a 2 or a 4 stroke engine. Each design has trade-offs, so that’s what you should be looking at when selecting the model you want. Electric motors are very light, and they are powerful enough to do a lot of yard work, but they are not as powerful as gas motors. Also, they are usually not as portable because you need to take either a power cord or battery charger with you. Gas motors are more portable and have more power, but they are usually much heavier than electric brush cutters. The extra power and ease of movement are especially helpful for commercial lawn care providers. There are a few ways the body of a brush cutter can be different. The metal shaft can be straight, bend, or curved, which will change the feel and balance of the machine. The handle on the shaft can be D-shaped, looped, or cow horn-style. Most brush cutters off some level of adjustability when it comes to the length of the shaft, although not all of them. How easy is it to turn the machine on and use it around the yard? Electric brush cutters are always the easiest to turn on, because it is just a switch or a button. Gas motors are more difficult to turn on, but they make up for it by attacking heavier brush with ease. How well does a particular brush cutter protect you from debris? Does it have a large brush guard or a smaller one? Does it have any included safety features to keep you from injuring yourself with the machine by accident? What kind of blade can be used on the brush cutter? There are a lot of different styles of blades which you can use depending on your needs and preferences, but you have to make sure the head of the device will fit the blades properly. Blades are an important consideration if you want the best brush cutter for whatever is in your yard. Different types of brush are easier to cut with a separate blade, so installing the right one can make a huge difference for you. Brush cutters don’t have to operate only in that capacity. In fact, many of them are actually string trimmers with a head attachment or a new metal blade. But, they are not limited to only being string trimmers or brush cutters. The heads can usually be removed and another attachment can replace them. The final thing to consider is what you want to use your brush cutter to cut. If you want the best brush cutter for your needs, you will have to know what you want to cut on a regular basis and prepare for it. For commercial users, this is more difficult and you will usually have to just get a general-purpose brush cutter, as you don’t know exactly what you’ll be dealing with yet. This is a powerful electric brush cutter with a cordless electric motor. There are 2.0Ah and 2.5Ah batteries available for the machine depending on how much battery life you need to get your yard done and how much extra weight you can handle. A brushless motor powers the head, making it more energy efficient. You can adjust the speed while operating the device by using the trigger at a lighter or heavier pace. The body of the EGO Power+ is made from extended aluminum. It is durable, yet lighter than some other models available in the market. The engine and other electrical parts are weather-resistant, meaning you won’t have to limit your work to sunny days only. Straight shafts are the only type available, but you can get it with a complete or split shaft to suit your particular needs. Your cutting reach with this device is 15 inches. This device works well for light brush that’s thicker than the average grass and weeds, but it is not a great fit for heavy duty jobs. It can be difficult to attach heavier brush blades on the machine, making it less efficient for your serious jobs and more of a home-friendly device. It’s easy to use and lightweight, which is great for the average home owner. 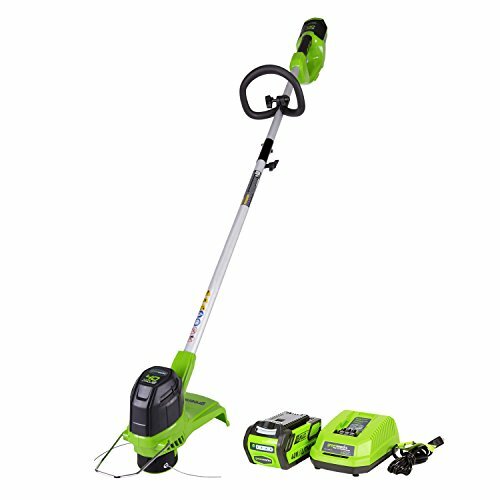 This gas-powered Hitachi is a good companion for home owners or commercial lawn care providers who need something strong to cut up brush. It makes a great brush cutter because of the strong engine power and the efficient split shaft design for brush cutting attachments. You can also get a curved shaft or straight shaft design, depending on what you like best. The 21.2cc 2-stroke engine is efficiently designed to meet emissions standards while remaining powerful and consistent. An easy start system is installed on this brush cutter to help you turn it on with less effort than before. Total weight is around 11 pounds, which is similar to many other gas-powered brush cutters available. Generic brush cutter heads can be installed to deal with all sorts of brush in your yard. This is a great brush cutter for thin or medium-thick brush. It’s a little too small to take on thicker woody brush, but it does a really good job otherwise. 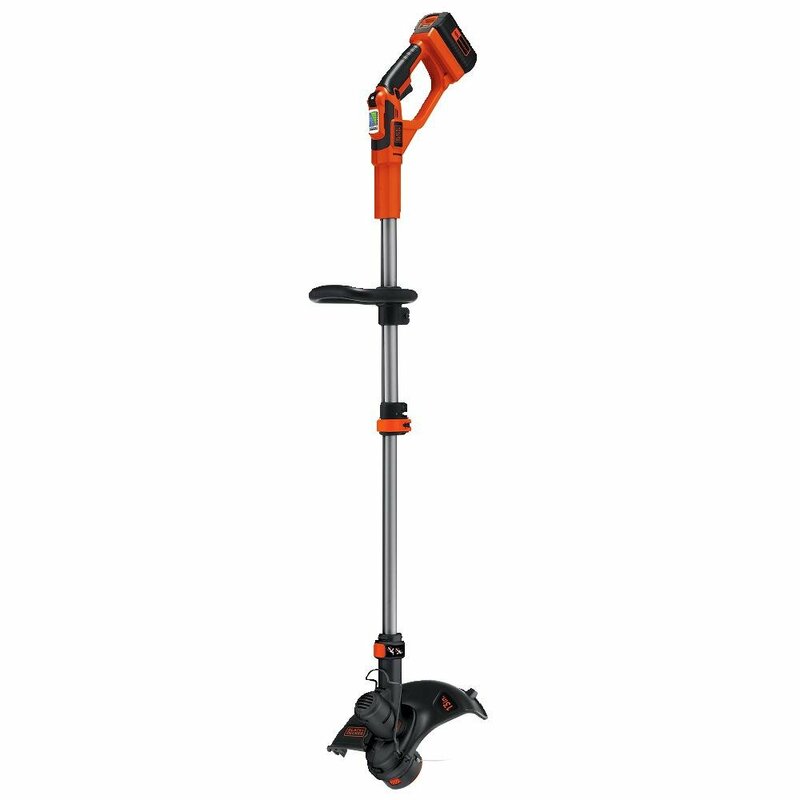 If you want something for lighter brush in your yard, the Black+Decker LST136W is a popular option that can get rid of a lot of grassy brush and some thinner woody brush with the right attachments. You can choose what kind of performance you’ll get by adjusting between max power and max runtime. This is a sturdy brush cutter that’s easy to convert into another tool with a simple head attachment change when necessary. The PowerDrive transmission help the head get more power for cutting, making it an efficient machine to use. The included battery charger and battery are fast-charge equipped, so you can have a fully charged battery within just around 1 hour. Anyone that wants a lighter duty brush cutter and doesn’t need a device with serious power can do well with this electric tool. You might struggle with it if your goal is to get right of a lot of thicker brush or any thick woody brush. 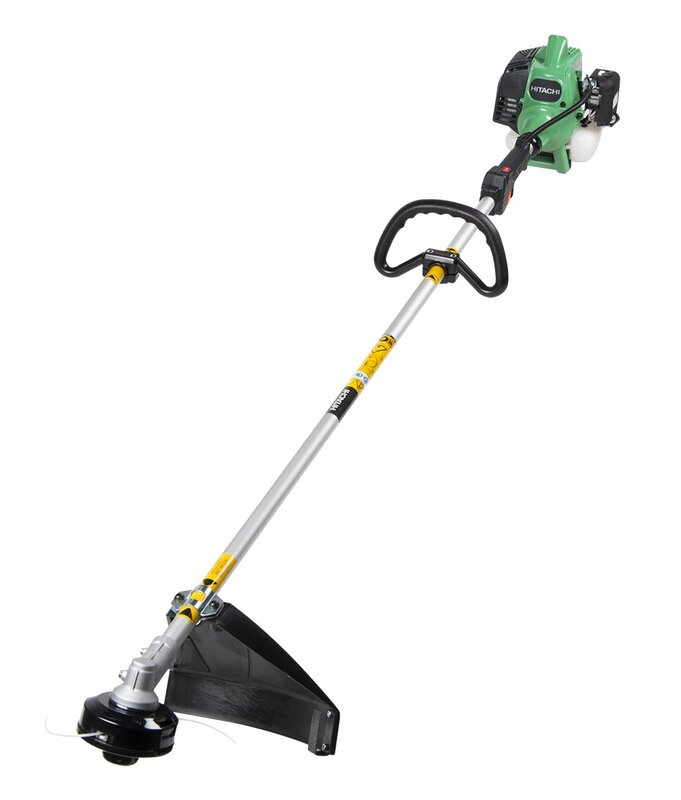 GreenWorks has made a brush cutter that’s very convenient and easy to use in your yard. While it’s not a great choice for all thicker brush, it’s suitable for most homes and some rural use. The electric battery can either be 2Ah or 4Ah, depending on your choice. These are quick charge batteries, with the 2Ah charging fully within an hour and the 4Ah within two hours. If you already own a GreenWorks G-Max battery-powered tool, you can use that same battery for this brush cutter and won’t need to purchase a new one. Adjust the power as you need it with the trigger feature. The more trigger power used, the stronger brush you can destroy. However, if you use a higher trigger speed than you will go through battery more quickly. If you have only heavy brush to deal with, than this isn’t the best brush cutter for your needs, but it’s a great machine for those will lesser brush that needs trimming. Husqvarna is a company that’s known for sturdy and long-lasting tools, and this brush cutter is no exception. The 28cc gasoline engine gives it plenty of power to take care of all sorts of brush around your yard. It’s a good machine for individual and commercial use, as it can accept many different machine heads to make its use more flexible. The Smart Start feature for this machine makes it simple to turn on without you struggling to pull the string so many times. It accepts any Husqvarna attachments, including blower heads and brush cutter blades. It’s a heavy-duty machine for anyone that needs more power to get the job done. Anyone in need of a machine to get rid of more heavy duty brush can probably find this to be a useful device. It’s good for individuals and commercial service companies as well. Any of the normal Husqvarna attachments can be put on this brush cutter, as well as a variety of other brands. 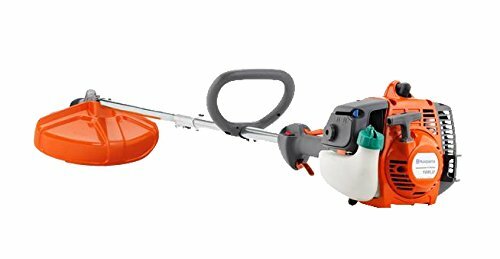 Out of the 5 devices I have just described to you, I think the most useful for a lot of you will be the Hitachi 2-stroke brush cutter. While it doesn’t have the same power as the Husqvarna or the lighter weight of the electric brush cutters, it’s a good choice for general use on all brush up to about medium-thickness. It is one of the best brush cutter models for the average yard. I hope you now have a better idea about how to search for and purchase a brush cutter for your own needs. If you ever need help, you can ask me any questions you have in the comments and I will get back to you as soon as possible!